Bhutan made the cut on our handpicked list of destinations to explore in 2017 — selected by the experts from G Adventures! 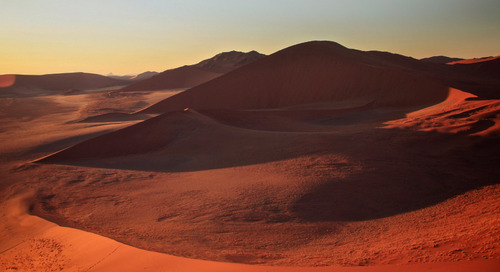 From the awe-inspiring landscapes of Iran to the world’s happiest kingdom, check out our collection of places to explore here. Think of Bhutan as a cultural Antarctica. The barriers to entry aren’t unbreakable, but they’re high. Flights into Paro, Bhutan’s only international airport, are limited to only two airlines and the approach is famous for its challenging runway. Then there’s the minimum price tag — though mostly, that’s a mental hurdle since your $250 USD daily fee includes meals and accommodation. And finally, there’s that Bhutan mystique, it’s one of those “last places.” Bhutan has maintained its status as a place like no other — partly by making happiness a national priority. The Tiger's Nest Monastery, Bhutan. You can view the survey on how happiness is measured in Bhutan yourself here. According to the World Happiness Report 2015 — yes, that’s really a thing — Switzerland and Iceland are the top countries for happiness, but Bhutan is responsible for the idea of tracking national happiness by creating the GNH measure. Maintaining the country’s Gross National Happiness is part of why tourism to Bhutan is so tightly managed. Bhutan’s happiness policy isn’t targeted at tourists, though tourism is its second largest industry after hydro-electric power. But tourism is managed in such a way as to mitigate the impact that visitors have on Bhutanese society. This makes for a warm and welcoming population — and plenty of opportunity for visitors to experience that favourite buzzword of travellers everywhere, authenticity. Studies associate access to nature with happiness, too. Bhutan’s devotion to nature — nearly 70 percent of the country is forested — is also about managing natural resources in a way that protects the country’s natural beauty. 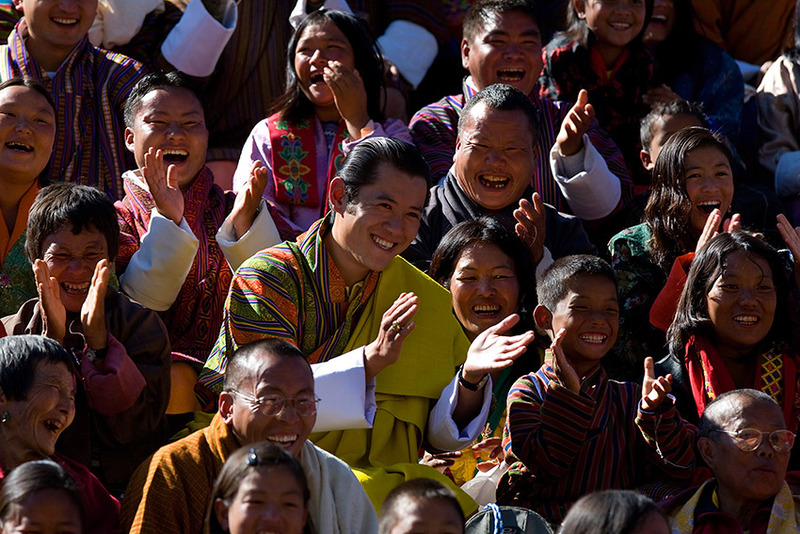 Happiness in Bhutan is serious business. Multimedia artist Jonathan Harris wanted to shake up some of that solemnity. In his Balloons of Bhutan series he handed brightly coloured balloons to people and asked them about their lives — what they want for their country, what has made them happy, and what their wishes for the future are. Harris’ project gives us the chance to question our own expectations about what we’ll find in the Kingdom of Bhutan. It’s all very Humans of New York, but there’s something deeply personal about hearing the voices of the Bhutanese people. It’s a little silly — intentionally so — but it also has the effect of making the Kingdom of Bhutan a less mythical place, one inhabited by real people. Fathers who want to leave their land to their children. Schoolgirls who like to play dress up. City boys who want to learn to drive. The photos, some of them featuring their subjects being goofy, also help break down the country’s mystique; they make that cultural Antarctica less exotic and other, a place inhabited by humans just like us. Harris’ project gives us the chance to question our own expectations about what we’ll find in the Kingdom of Bhutan. Shaking up our preconceived notions of a place is always a good idea. With so much mythology around Bhutan’s happiness policies, it relieves the pressure when we see that twenty-something guy in a punk-style ragged t-shirt say it makes him happy to go dancing with his friends. He’s not just like us, but we can relate. The universality of small experiences is one of those bonds that travel allows us to find. And that, so often, makes us happy. G Adventures runs a number of departures in Bhutan encompassing a wide range of dates and activities to cater for different tastes. 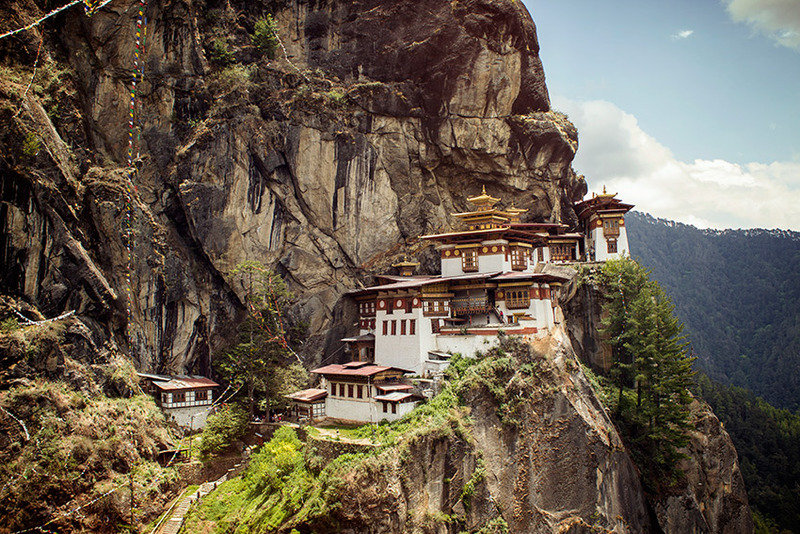 We’re thrilled at the prospect of showing you this big blue planet of ours — check out our small group trips to Bhutan here. 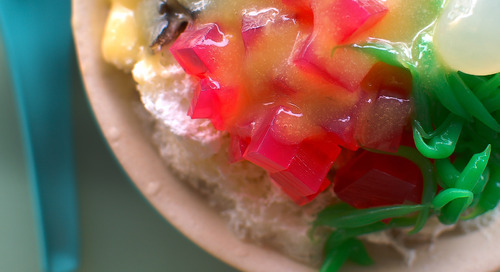 Dive deep into the world of multi-ethnic gastronomy in Southeast Asia’s culinary paradise.